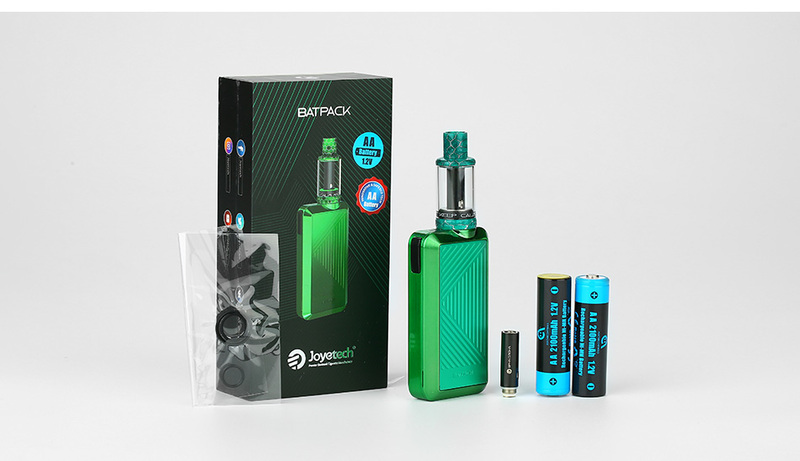 Joyetech Batpack Starter Kit integrates ECO Technology with the capability of using dual normal AA or AA Ni-MH rechargeable batteries to pair with the compact ECO D16 Sub-Ohm Tank. The Joyetech Batpack is highly innovative, leveraging the safe technology and widely available AA batteries to be implemented in its system, allowing to be powered through Ultra Efficient Low Voltage Technology. The Batpack can only be utilized with the ECO D16 Tank, providing a screenless design with single button operation to effectively utilize for a normal vaping experience. The ECO D16 Tank features 2mL maximum juice capacity, convenient top-fill method, restricted MTL top airflow, and BFNH Coil System. This ultra portable pod like vape kit is going to be your new favorite all day vape.